This Wolf Mateo Mattress Review was recently completed by the MattressJunkie.com team. Wolf Corporation is the oldest mattress manufacturer in the United States under continuous family ownership. Wolf Corp has been creating mattresses since 1873. With over 140 years of mattress knowledge, creativity, and innovation, Wolf has been a trailblazer in the bedding industry. Wolf Corporation is located in Fort Wayne, Indiana and all mattresses are made in the USA. 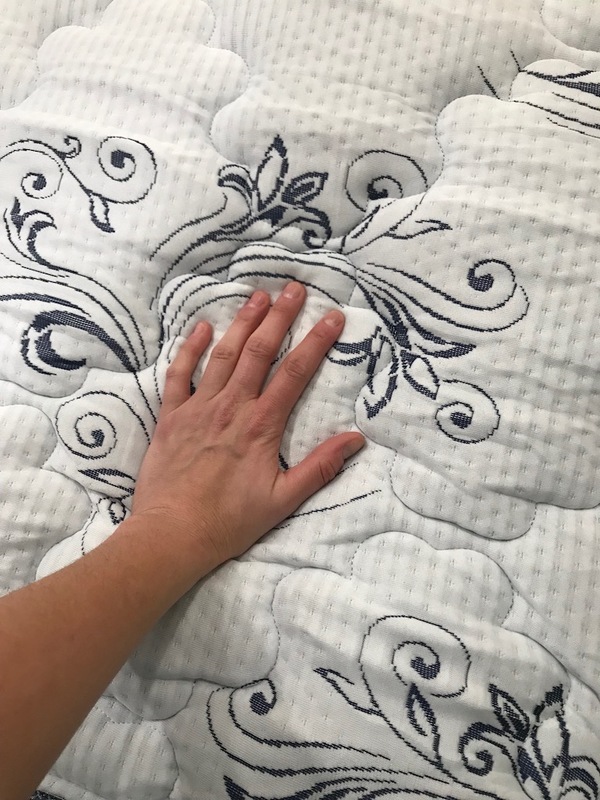 Wolf sent over their Double-Sided Mateo Mattress in queen for us to review. Check out how the Wolf Mateo Mattress stacked up in the review process. Tell me more about the Wolf Mateo Mattress cover. The Wolf Mateo Mattress has a luxury stretch knit cover quilted with foam for an extra layer of comfort. The mattress has the same cover on both sides so it can be flipped for comfort that lasts over time. The cover has a blue and white scheme. What’s Under Wolf Mateo Mattress cover? Under the cover of Wolf Matteo Mattress is 680 wrapped coils that measure 8 inches in height. The coils are surrounded by Wolf bonded posture pads on both sides. The wrapped coils also have 2 inches of Certi-PUR poly foam on both sides. The poly foam adds a layer of comfort to the sleep surface. Unlike many mattresses you see today, the Wolf Mateo Mattress is double sided. This means you can flip the mattress over and preserve your comfort and wear and tear over time. Many mattresses today don’t have this feature. 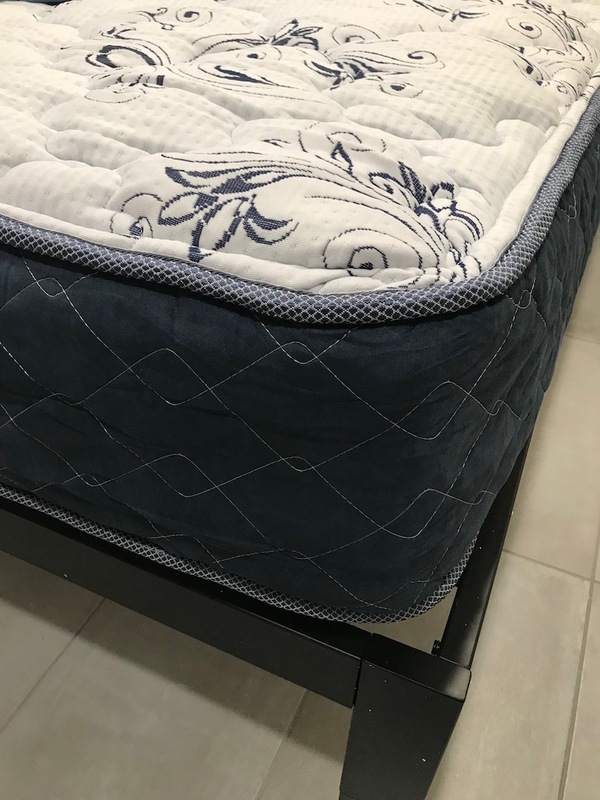 Wolf has spent 140 years perfecting their mattress offering, they are confident that a double-sided mattress is more durable long term for the consumer. What Sleep Style Works Best with the Wolf Mateo Mattress? The Wolf Mateo Mattress is a medium firm in terms of firmness. The coils do a great job of minimizing the sinking feeling that many consumers complain about when they go with an all memory foam mattress. Medium firm works well with all sleep styles. 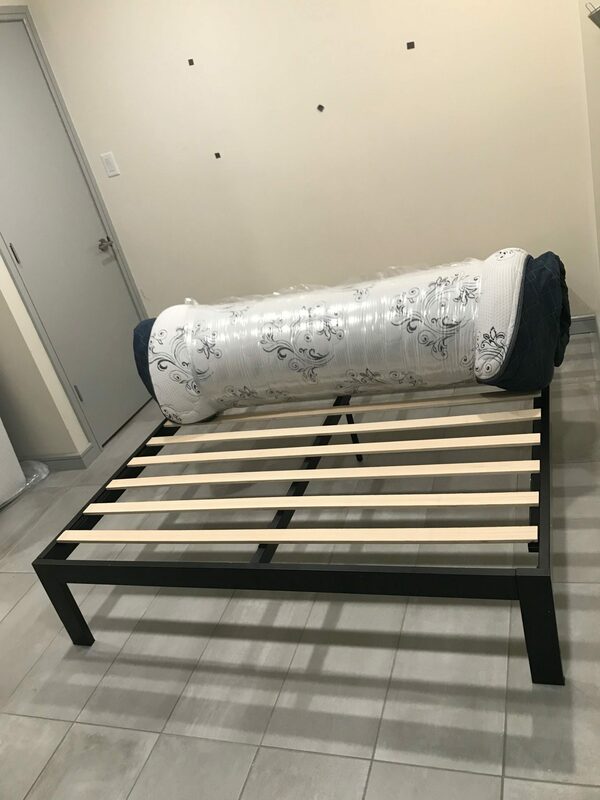 What type of base should I place my Wolf Mateo Mattress on? We reviewed our Wolf Mateo Mattress on a Wolf frame. A box spring, platform bed, or the floor would also work fine with the Wolf Mateo Mattress. Some mattresses have an odor to them when you unroll and remove the vacuum sealed plastic. 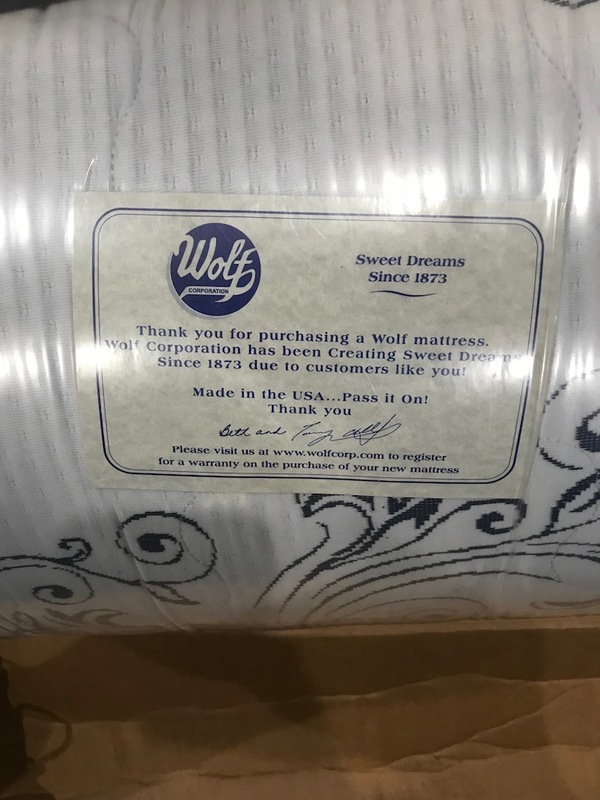 The Wolf Mateo Mattress had no noticeable smell when unboxed. What Type of Warranty and sleep trial Does Wolf Offer? Wolf has a 10-year warranty on their Mateo Mattress. How much does the Wolf Mateo Mattress cost? Do we recommend the Wolf Mateo Mattress? The Wolf Mateo Mattress is very well made. 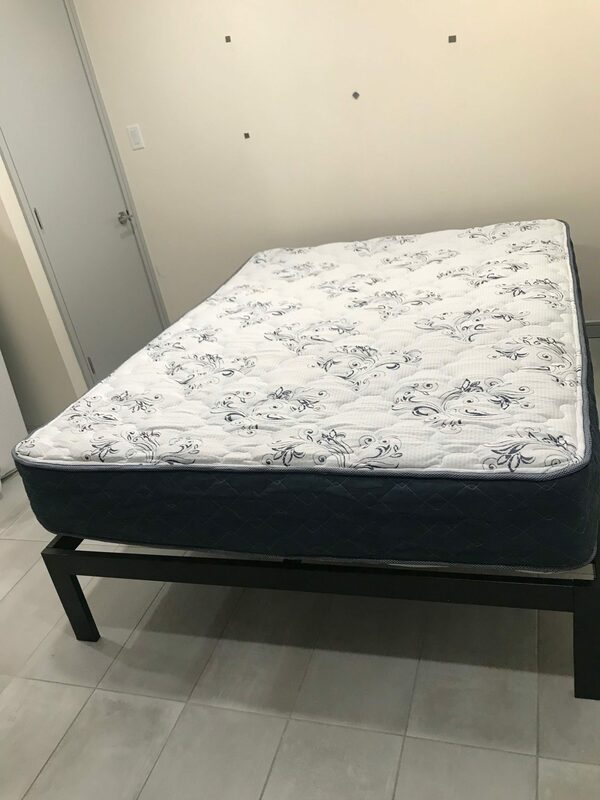 A queen mattress this nice for $430 dollars is an absolute steal. The double-sided feature will last longer over time since you can easily flip it to manage the wear. Wolf’s fortified edge support is as good as you will find in any mattress on the market. Wolf would not be able to stay in the mattress business for over 140 years if they didn’t know what they were doing. 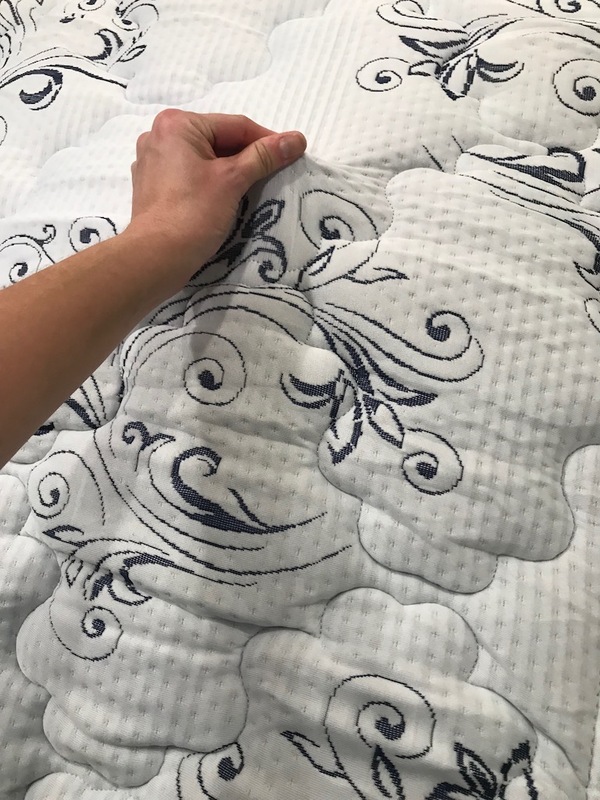 If you need a new mattress, Wolf Mateo Mattress would be a great upgrade for anyone who likes a more traditional mattress. Order Your Wolf Mateo Mattress here…..